Small claims court is a specially designated section of state court systems. In most states, if you have a claim for $15,000 or less, you can file that claim in small claims court instead of in regular court. The major advantage of small claims court is that the rules of civil procedure and evidence are relaxed so that you don't have to hire and pay for an attorney to represent you. Still, you need to know a few basics to successfully file your claim. The most basic document for filing a claim in small claims court is the complaint. The complaint is a document where you outline the factual basis for your claim. For example, if you sold your car to a friend and your friend did not pay you the money owed, you would describe the agreement, and you would describe how your friend has failed to live up to that agreement. You do not need to cite any laws or rules. You simply need to tell your story and show why you are entitled to legal relief. Some states require an affidavit in addition to, or in a few courts instead of, the complaint. An affidavit is very similar to the complaint, except that you have to sign the affidavit in the presence of a public notary. Again, like the complaint, the affidavit is the document where you tell your side of the story. Part of filing your claim in small claims court includes serving a copy of the complaint and/or affidavit on the person you are suing. This is often referred to as "service of process." In every state, you must hire somebody to serve process for you. In some states, this is performed by a sheriff's or constable's office, but in other states, this is not a public function. Instead, you have to hire a private process server to deliver a copy of the complaint to your opposing party. The fee for this type of service is typically around $20, as long as the opponent is local. The process server will sign a document called an "affidavit of service" or "certificate of service" or something similar, and you will need to file a copy of that document with the small claims court. After filing the certificate of service, your claim will be scheduled for hearing before a small claims court judge. "Nolo's Represent Yourself in Court"; Paul Bergman and Sara Berman; 2008. M., Phil. "Documents Needed to File a Claim in Small Claims Court." 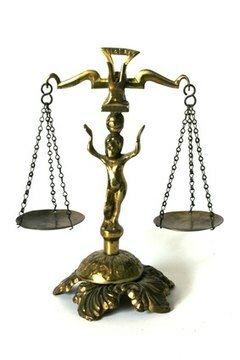 , https://legalbeagle.com/6157738-documents-claim-small-claims-court.html. Accessed 21 April 2019.